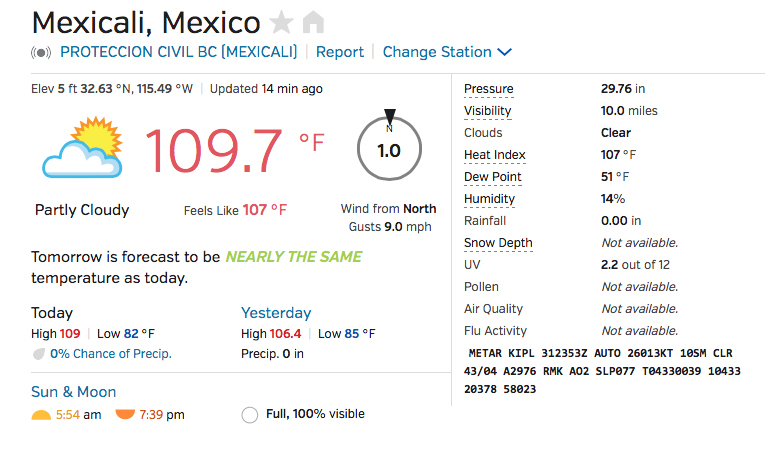 BORDER PULP NEWS: Mexicali is hot, hot, hot. « BORDER PULP NEWS: BLOGLOVIN’ likes The In-Ko-Pah Spirit. Mexicali is way too hot to go outside. The border heats up in the summer. You might try the Tuna Club if you want to chill out. Grab a frigid one. Hector keeps the place cool. He’s got an industrial size AC. Major BTU’s. Got it off a guy who had to close his chop shop. Humpy is now enjoying the air-conditioning at San Quentin. Hope anyone trying to cross the border has plenty of water and shade, maybe some air-conditioning. But if you can’t go outside because of the heat and are looking a little pale, here’s an idea. 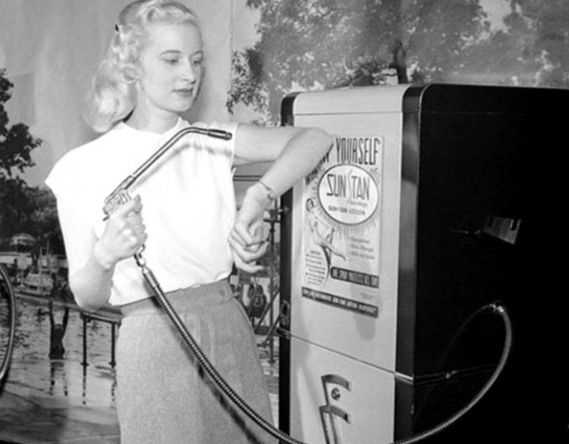 Spray on your tan. It’s only ten cents for thirty seconds. Of course that was a long time ago. Check out that hair style.